There are many Bifold Door Options available. 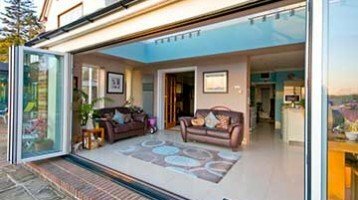 Cheam Windows bifolding doors meet the highest standards for quality, security and weather performance. 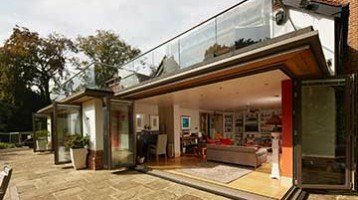 We offer the market leading Origin Bifolding door and are one of their longest standing Origin Preferred Installers. Origin is the market leading aluminium bifolding door in the UK. 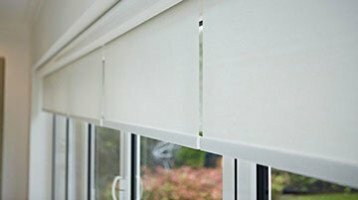 Known for high quality, excellent design and industry leading 20 year guarantee. The Origin Bifolding door specification is complete and offers you many benefits if you are looking for a high quality yet very well priced aluminium bifolding door. Origin Doors are polyester powder coated – the most long lasting finishing process for aluminium. 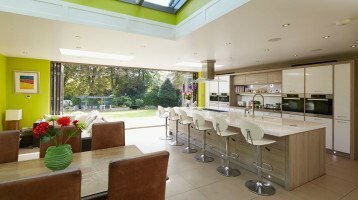 This ensures long life with additional paint guarantees available for up to 25 or more years for bifolding doors installed in areas such as coastal, exposed or chlorine. Polyester Powder Coating meets British Standard BS 6496, 1984 – the only recognised standard for powder coated aluminium. Over 220 possible colours available further enhanced by the option of satin, matt or gloss shades. Metallic and latest technology wood effect paints are also available. Cheam bifolding doors use state of the art manufacturing processes to ensure our doors give the maximum service life and can live up to their 20 year guarantee.